Fans from all over the world can now enjoy the action role-playing video game Monster Hunter Generations. Although fans of the series are already well established and perhaps say at this point that tips for MHG are not necessary, since the game is so much easier than its predecessors, but some useful tips make gamplay even easier. 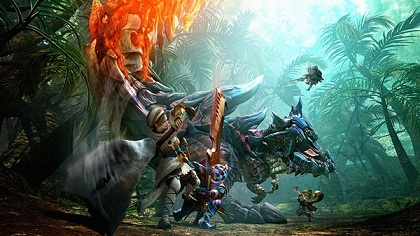 Monster Hunter Generations is quite a pleasant mix of old, familiar techniques and new features including new hunting styles and hunting techniques. The following tips and tricks will help you in preparation for hunting monsters. - Choose your player’s name sensibly because you will not be able to change it later. The first and most important tips: Character names must not contain personal and insulting information. - Uses Hunter notes to view useful information that you have collected throughout the game. Among them are information to villager’s requests, rewards, understanding hunting, monster list and arms control. - Village facilities have a help screen. If you don’t you know how to use a device, then talk to the character that is responsible for the appropriate device and then select Help. - Before the beginning of a quest, you have to pay a Quest fee. Once you completed your quest, they will be refunded to you in addition to the rewards. If you fail a quest, then everything will be reset and the objects which have unlocked disappear. The items that you have in turn used will be restored. What leads to failure or for completing the quest, you can always read at Quest Info. - Try to earn the Free Hunt Bonus. This bonus you get when you defeated monsters, which are not listed in the Quest. Then dip when the hunting environment is unstable. That you recognize the fact that the Quest has a hazard symbol. - As you are not tied to a traditional class system, it is possible for you to switch between the hunting techniques, weapons, etc. - A new feature at Monster Hunter Generations and worth mentioning, is the possibility of the A button to hold to collect items. Simple, yet useful, because now you must not press a key for each object. There are certainly many more tips and tricks to play the game easier. If you have such and want to support the newcomers and veterans, then please leave your personal tips for Monster Hunter Generations in the comments.